Today we visited "little Arabia" off the 5 freeway and Brookhurst in the city of Anaheim. 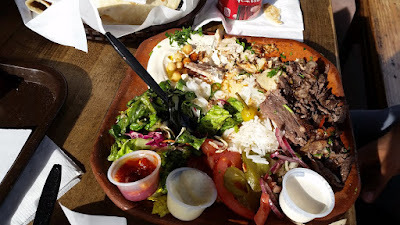 We had lunch at a Lebanese hole-in-the-wall called Zait & Zataar. The food was amazing! 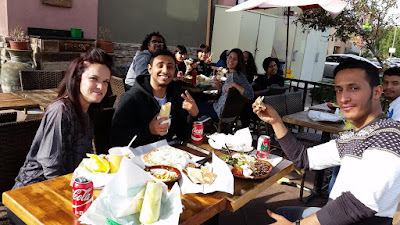 We had shawarma, hummus, and some amazing pastries and bread items that I have no idea how to say. Some of our students were from Saudi Arabia, and they even said the food was delicious. It was only about 10 minutes from our Language Systems - Orange County campus. Our Taste of OC activity takes place each month and it is designed to give our students a chance to eat some of the amazing international food we have here in California. 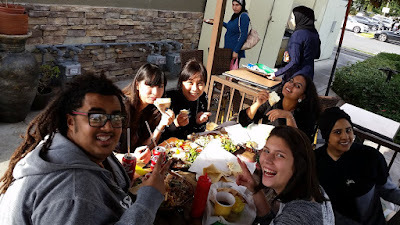 If you love food, you are really lucky to be studying English in California because we have authentic food from all over the world! Until next time, thanks everybody for coming out to lunch today!